Feedly was first released a news aggregating application by DevHD in 2008 for the various web browsers and mobile devices that run on Android, and iOS. Now it is also available as a cloud-based service that is focused mainly on compiling news feeds from various online sources. They make it all useful in Feedly for the user to customize those news feed and share with their folks. You must be thinking of the Google Reader when you hear something about news aggregating applications. But when one has taken over the market, it has to face competition from similar products offering better replacements. Feedly undoubtedly stands there with a host of options that makes room for every kind of reader. They claim to have engineered a cloud sync solution that is extendable to that extent that it reaches across its rival apps and overrides its competing platforms. When Feedly made its debut as a paid newsreader app, it wasn't appearing to be a probable competitor for the Google Reader. But in the recent days, the company has been successful in making headlines as a Google Reader API replacement. Feedly Cloud accepts third-party apps to sync with its content that is hosted on its servers. This feature gives Feedly an enticing edge that draw more people into it. Even if one doesn't choose for its proprietary apps, there would be plenty of others options from where one can choose from like Android, iOS, Windows 8, Windows Phone, and 10 clients from BlackBerry. Feedly jumps quickly while Swiping up to the next page of headlines. Once a reader reaches at the bottom, they would be prompted with a large checkmark area for marking the entries already read with a single click. 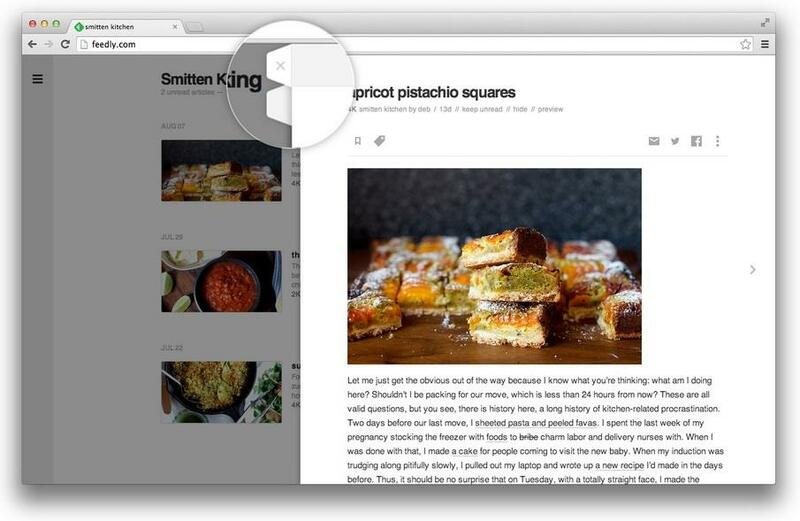 For those quick browsers, Feedly makes it possible to scan through several of feeds at a time. Content of Feedly can be saved within the Feedly App itself for later or further reading, those can be sent to the Instapaper or Pocket, and also shared through emails or social media sites. As it was a one-click migration from the Google Reader which ended with its July 1 shutdown, Feedly users can still benefit from the options like importing OPML files from the website to sync the saved feeds. Feedly is based on Freemium mode, but you need to have one of these platforms to get it : Feedly runs better on iPhone, iPad running iOS 4.3 or later or iPod touch. Fast, free, and the best possible syncs. Looks Slick with a swipe-friendly interface. The Cloud sync has room for cross-platform apps. The Content of Feedly can be read through four different views. Scans hundreds of feeds while marking them as read with a single tap in no time. The only complaint but appears to be quite grave is that there's no group feeds option by source while viewing a feed. While one can add or delete feeds within the Feedly app, moving them or rearranging them has to be done from a third-party app or some other website. Feedly's freely available universal app is a spectacular site with a sincere effort which is capable of turning websites into polished, beautiful and swipe-ready cards. If that's not what you were exactly looking for, you can view its content through their 'title-only option', 'list', or even 'Flipboard-style magazine views'. All these made Feedly one of the most customized news readers of which we are really fond of. There is little which you may not like about Feedly, and it has become a great point of relief after experiencing the blues of Google Reader.